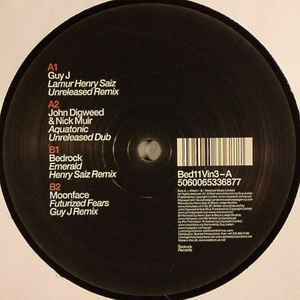 These tracks also appears on Bedrock Eleven: Compiled & Mixed John Digweed. ℗ & © Bedrock Music Limited. The Aquatonic Unreleased Dub is arguably better than the original released Version, This vinyl is Very good for transition prog/Tech DJ's peak time.